Close to 2,000 residents of major Bulgarian city of Varna rallied Wednesday in protest against development plans in Varna's landmark Sea Garden. Controversial business plan by companies related to locally all-powerful shady TIM consortium include the demolition of the vast park's seaside alley to erect a number of business buildings. The notorious Alley One project, as it came to be known, foresees the construction of a yacht port, offices of Maritime Administration, hangars for sea vessels, sports and entertainment facilities, food establishments, a fishermen village, a year-round swimming complex with at least three aqua parks, a medical center, and five hotels at the site. Wednesday the residents of Bulgaria's largest city on the Black Sea and the country's third most populous rallied to request a ban on all construction in the Maritime Garden, as well as a ban to all access of vehicles in the garden. 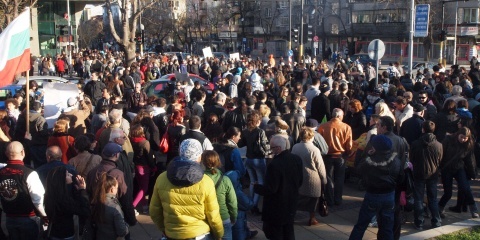 Protesters were carrying signs such as "The Sea Park is for all" and expressed their outrage at what they saw as a giving way to shady business interests on the part of Varna Municipality headed by mayor Kiril Yordanov. They recalled that end of March the Varna Municipality made a revision of the construction and development plan of the city, officially making it allowed to carry out construction in the Sea Garden.